Business owner/sellers, buyers, investors, intermediaries, brokers, agents, landlords, advisors, franchisors, franchisees (resales). Buyers and sellers of California established small to mid-sized businesses, franchises (new and resales), & business opportunities. If you would like to advertise and reach serious/motivated business buyers, small business owners/sellers, or brokers and agents call Peter Siegel, MBA at 866-270-6278 today. 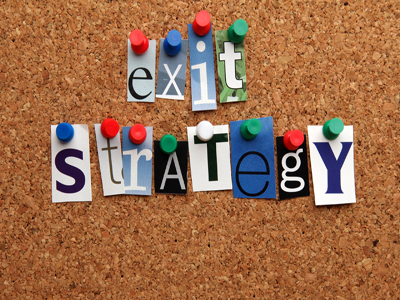 Are there more advanced advertising/marketing programs for brokers, agents, intermediaries? Yes, for brokers, agents, and intermediaries we have our very successful Fast Track postings/ads, and our Advanced Advertising and Marketing Programs (that incorporate our Fast Track posting/ad programs, etc.) 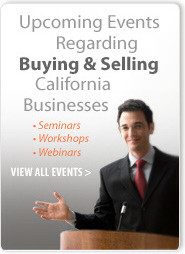 that are specially designed for brokers and agents who wanted a more advanced�way to sell their listings (and services), reach more qualified buyers, and business owners trying to sell a small or mid-sized California business. Intermediaries can utilize these special marketing and advertising programs to: place articles, blog or discussion posts on BizBen, promote workshops, webinars & special events, etc. 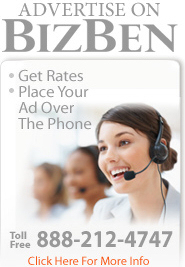 For custom marketing programs for intermediaries, please phone our BizBen Advertising Specialists at 888-212-4747 for details. Is there a commission or any additional fees to post on BizBen besides the advertising fee? Absolutely not. There are no hidden commissions or fees. 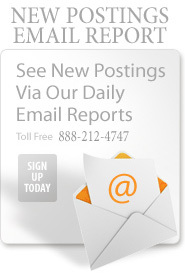 Our advertising prices are all you will ever pay to place a posting on our site. BizBen is the most effect and least expensive method of reaching the right audience for your posting. How does BizBen generate traffic to their website? 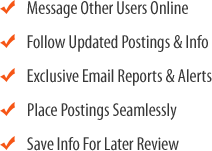 BizBen reaches hundreds of thousands of potential buyers, sellers, & intermediaries each month with its advertising & marketing campaigns throughout online outreach integrated efforts. 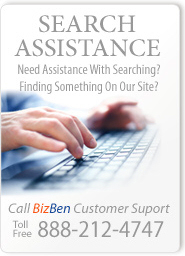 Since BizBen.com has been assisting those selling and buying California businesses since 1994 we have a huge following of site Users - over 45,000! Our postings & posts are also fed via RSS feed to a network of small business sites, resources, and social media websites like Twitter, Facebook, etc. This means you will get more exposure for your postings and posts with BizBen than with other media. Plus, BizBen is extremely affordable so you don't spend a fortune trying to generate interest in getting your deal done. Can I add new postings or revise my postings at anytime? Yes you have full control 24/7 to log into your BizBen Account and add new postings, revise current postings, and make postings inactive - bottomline you have full control over your advertising on BizBen. What is the Fast Track advertising program? The BizBen Fast Track advertising program is a program for sellers, agents, and business brokers who want to get the maximum exposure for their ad/listing: The Fast Track ad program usually accomplishes: Multiple buyers for your listing, intensive daily exposure, and one of the best ways to sell a business. We limit the number of Fast Track ads on BizBen to maximize your exposure at all times. Who can utilize the Fast Track Advertising Program & what does it include? Can I upgrade from a Standard Posting to a Fast Track Posting? 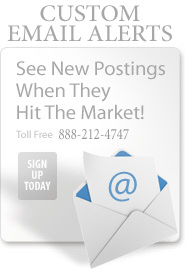 Yes, you can upgrade your Standard Posting at anytime during your advertising run on BizBen. You can apply the dollar amount you paid from your current Standard Posting dollar amount within the first two weeks on our site to a Fast Track Posting. After you select and pay for this upgrade a highly trained BizBen Advertising Advisor will contact you to set up and implement all the features associated with the Fast Track Posting Program. What types of payment do you accept for postings and advertising plans? We accept either credit or debit card payments. Payment via check is accepted as long as the Account User pays at least six months in advance. Ongoing (monthly) advertisers are auto-billed monthly via a credit or debit card on the 1st of each month. Can I upgrade my BizBen advertising program at any time? Yes, you can upgrade your advertising on BizBen at anytime by calling Peter�toll free at�866-270-6278, we will prorate and upgrade your advertising right over the phone. How many & in what format should my pictures be in for my posting(s)? Up to 6 pictures are allowed to be placed in postings. Pictures should be in jpg format. When you editing/revising your posting you can change or add photos at that time also. Pictures with your posting(s) need to be pictures of the business or commercial real estate you have available - please no logos, stock photography, copyrighted ptotos, etc.). Are there any membership fees to join BizBen to advertise? No there are no membership or initiation fees to join BizBen to advertise.